May 24, 2018: From a presidential campaign filled with bigotry and hate, including anti-Semitism, to a White House that welcomes bigots and anti-Semites, under the Trump administration we have witnessed a rise in blatant anti-Semitic incidents across the country, including the White Nationalist rally in Charlottesville and the school shooting in Parkland, Florida. 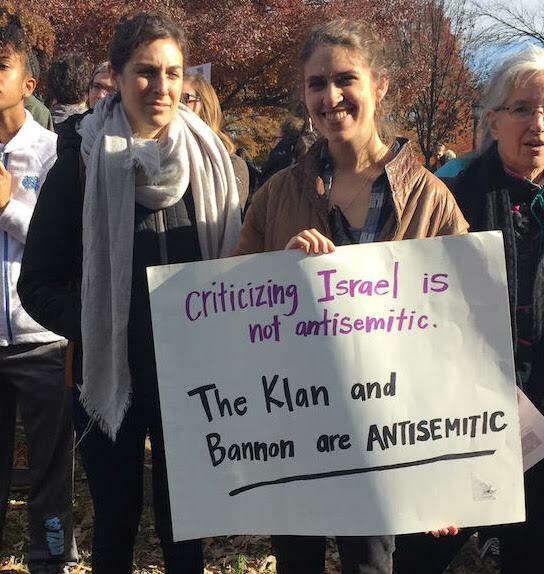 In response, Jewish Voice for Peace has redoubled its efforts to combat the rise of anti-Semitism and other forms of bigotry, including the Stop Bannon coalition with other faith-based, social justice, and community organizations. 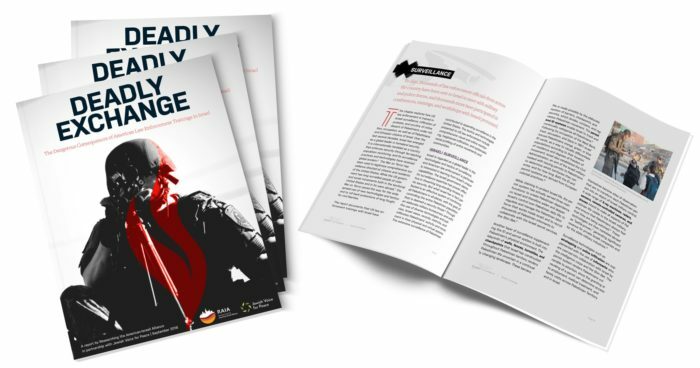 With the re-introduction of the “Anti-Semitism Awareness Act,” in Congress, however, Jewish Voice for Peace is deeply concerned that this terrifying rise in anti-Semitism is being cynically exploited to target advocates of Palestinian human rights on college campuses. The bill dangerously diverts attention from real anti-Semitism and instead targets student activists. Jewish Voice for Peace urges Members of Congress to oppose the re-introduced Anti-Semitism Awareness Act. The Silencing Students Act would require the Department of Education to apply the Department of State’s previous working definition of anti-Semitism to evaluate complaints of discrimination on college campuses. The Silencing Students Act intentionally conflates anti-Semitism with legitimate criticism of Israel and advocacy for Palestinian human rights. Criticism of the Israeli government is not inherently anti-Semitic, just as criticism of the United States government is not equivalent to bigotry against Americans. Jewish Voice for Peace urges Members of Congress to oppose this latest attempt at the Silencing Students Act. Rabbi Joseph Berman is available to speak with the media. Adoption of the Silencing Students Act would further the dangerous policy trend shown by the Trump Administration in suppressing activism for Palestinian human rights and criticism of the State of Israel. The Anti-Defamation League, who supports the legislation, has been explicit that the true target of the legislation is what they term “anti-Israel activity on campus.” The legislation would also give Kenneth Marcus – nominated to the Office of Civil Rights at the Department of Education – the tools to silence students who advocate for Palestinian rights. If the legislation were to pass and Marcus is confirmed by the Senate, it is likely he would use this definition to create pressure on university administrators to investigate, defund, and/or discipline students, professors, or academic programs who are in any way critical of the Israeli government – creating a chilling effect on legitimate and constitutionally protected speech.